On November 1, 2018, at the Ministry of Foreign Affairs of Turkmenistan there was a meeting with Mohammad Homayoun Qayumi, Acting Finance Minister of the Islamic Republic of Afghanistan, who arrived in Turkmenistan to attend the meeting of the Intergovernmental Turkmen-Afghan Commission on Trade and Economic Cooperation. During the meeting, the sides reaffirmed the mutual commitment of the two countries to further intensify the bilateral dialogue, discussed the situation in the region and the priorities for the development of Turkmen-Afghan cooperation in various fields. Among the priority themes, the parties noted the important role of interstate cooperation in the trade-economic, fuel-energy, transport and cultural-humanitarian fields. Special attention was paid to the implementation of important joint infrastructure projects, such as the construction of the Turkmenistan-Afghanistan-Pakistan-India (TAPI) gas pipeline and the use of the first phase of the “International Asian Railway Transport Corridor” Kerki-Imamnazar (Turkmenistan) - Akina (Afghanistan). The delegation of the IRA expressed sincere gratitude for the continued assistance provided by Turkmenistan in the reconstruction of Afghanistan, commending Turkmenistan’s active participation in stabilizing and establishing a peaceful and prosperous life in the neighboring state. 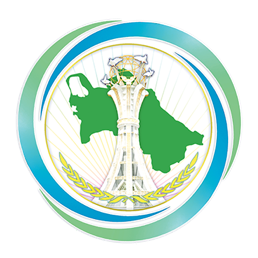 The Turkmen side stressed that Turkmenistan, guided by the principles of good-neighborliness, humanism and solidarity, intends to continue to provide practical assistance to the fraternal country.